Abstract : We develop a new symbolic-numeric algorithm for the certification of singular isolated points, using their associated local ring structure and certified numerical computations. An improvement of an existing method to compute inverse systems is presented, which avoids redundant computation and reduces the size of the intermediate linear systems to solve. 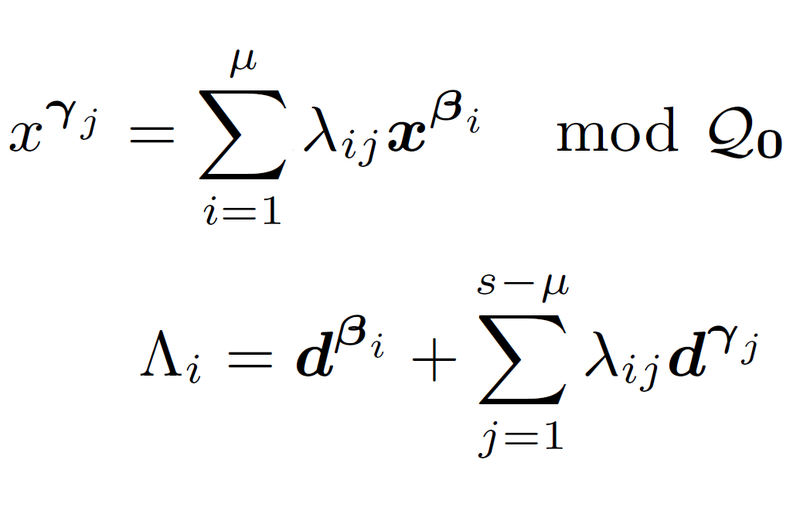 We derive a one-step deflation technique, from the description of the multiplicity structure in terms of differentials. The deflated system can be used in Newton-based iterative schemes with quadratic convergence. Starting from a polynomial system and a small-enough neighborhood, we obtain a criterion for the existence and uniqueness of a singular root of a given multiplicity structure, applying a well-chosen symbolic perturbation. Standard verification methods, based eg. on interval arithmetic and a fixed point theorem, are employed to certify that there exists a unique perturbed system with a singular root in the domain. Applications to topological degree computation and to the analysis of real branches of an implicit curve illustrate the method.